Hey there friends! I cannot believe I totally forgot to post this at the beginning of the month! In case you are just now getting to read my blog, I usually put a round up post of all my posts for the previous month in case you missed one or are just coming across my blog for the first time. Do you have some parties coming up? 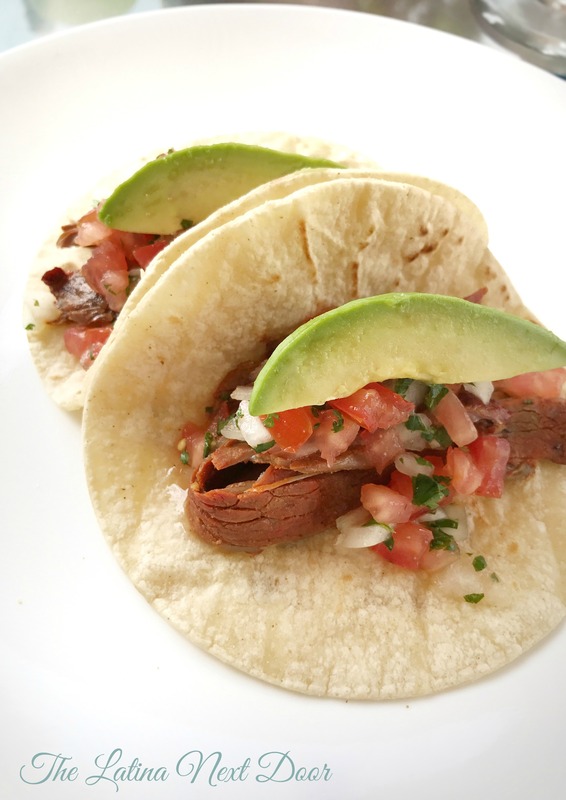 Cause I shared our favorite steak taco recipe perfect for summer grill outs with family and friends. You will need this pico de gallo to make them just right. 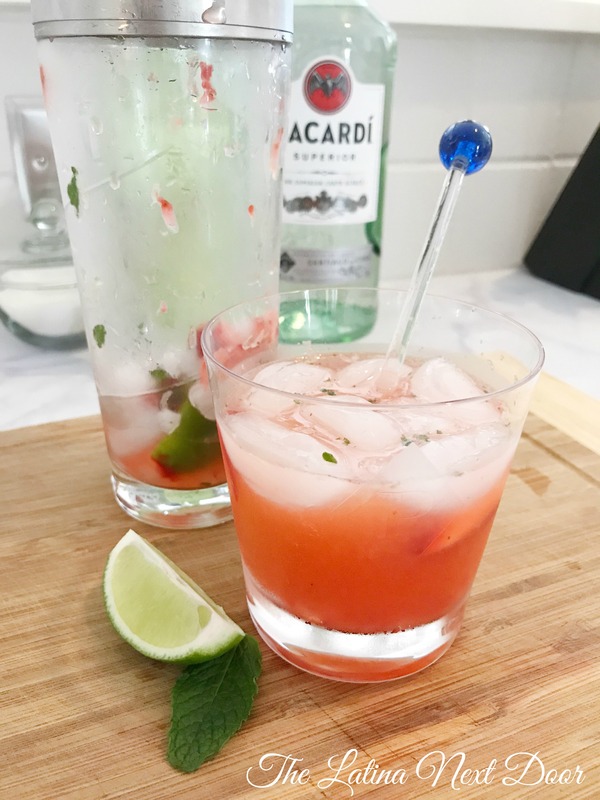 Of course what are amazing steak tacos without an amazing cocktail? They’re good, but this spin on the classic mojito makes those tacos taste even better. They are my favorite and I am sure after trying they will be your’s too. Obviously I did my round up post for the month before (that one was on time, but hey, nobody’s perfect ?). 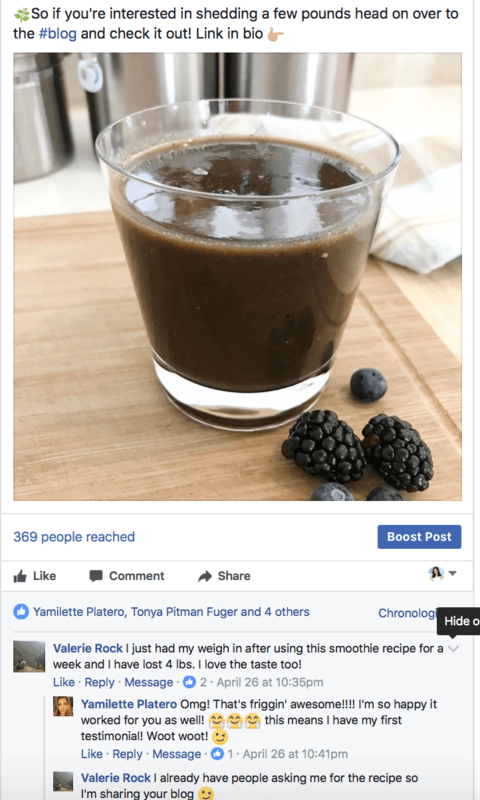 This was where I shared my first testimonial for my detox smoothie. 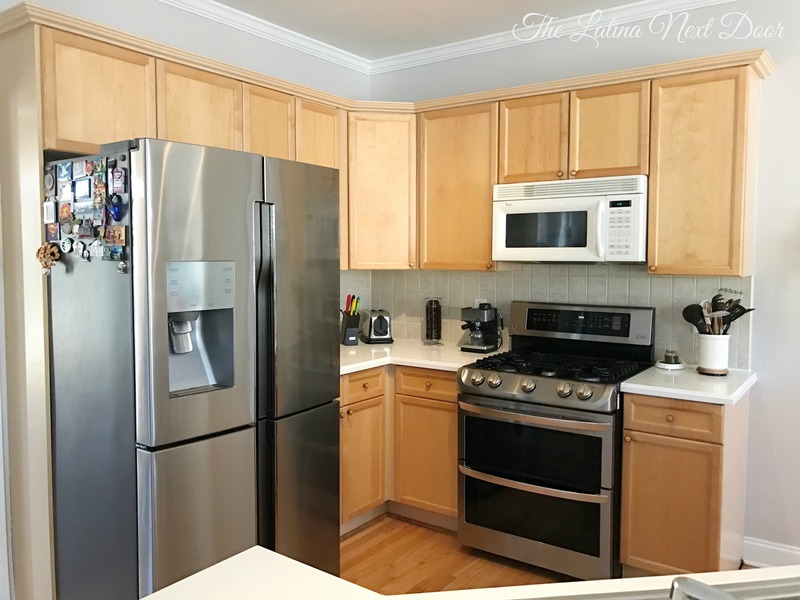 I share my BEFORE pictures of my outdated kitchen before I gave them a huge makeover. It was pretty bad. 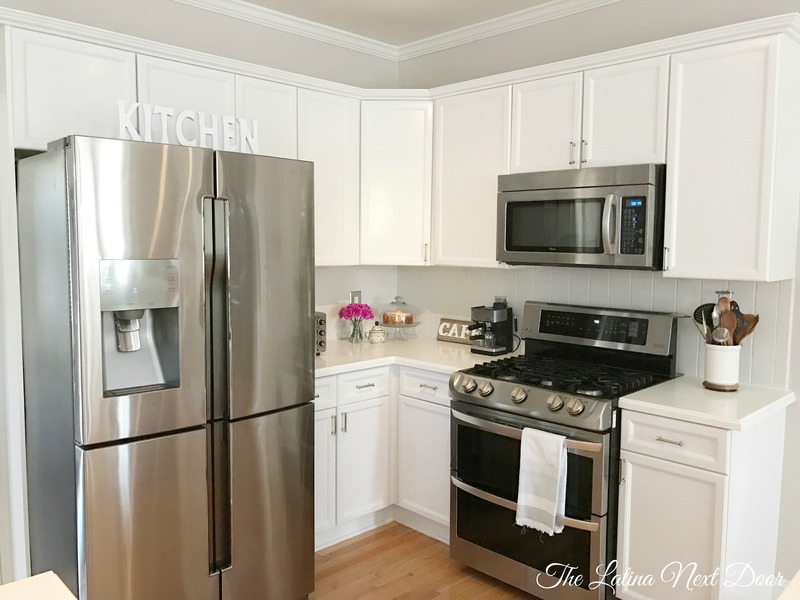 Then, with the help of Sherwin Williams I was able to make a huge impact with the transformation of my kitchen and now I love it so much more! I walk you through the entire process by step in case you have ever put thought into doing this yourself. 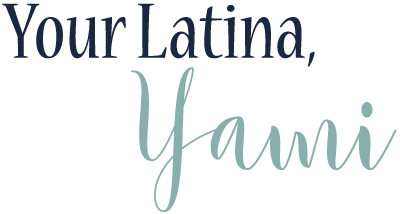 I have my second “Que Pasa at the Latina’s” post where I share what;s going on behind the scenes. And this time one of the things I talked about was my new logo! Cassandra at The Girl Brand did such an amazing job! If you ever need a logo or rebranding of your blog check her out. She is extremely thorough and super patient! She will make sure you walk away super happy and I couldn’t recommend her enough! This month I also got together with 15 other amazing bloggers to get your design questions answered. 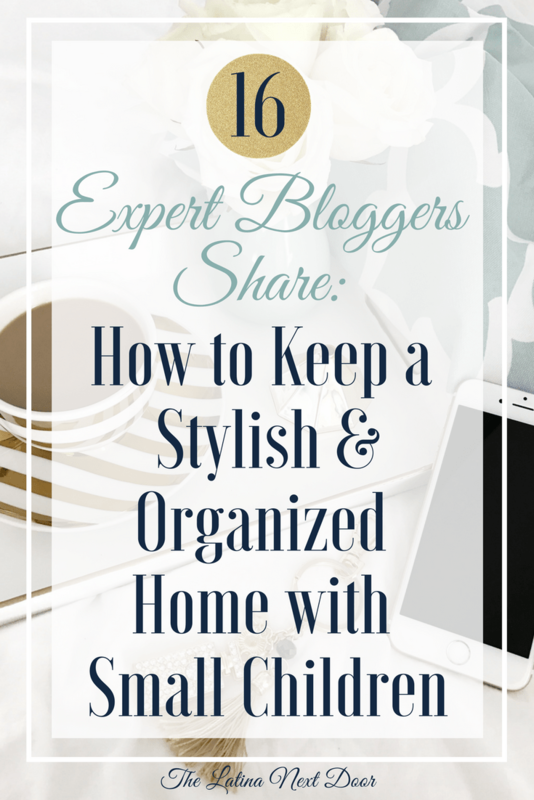 “How to keep your home stylish and organized?” was my questions and each one of us took our turns giving our best tips. Plus each blogger had their own question that they would have answered on their blog. So check them out and see if one of your burning questions was answered. It was so much fun! 8. Lastly, I started a YouTube Channel! 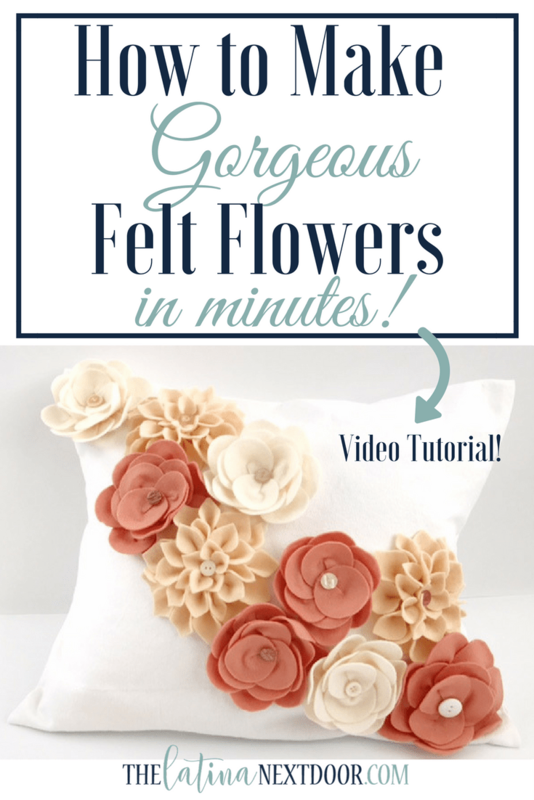 I wrote this post on making felt flowers and uploaded it as my first video on Youtube. I actually did this as a guest post for my friend Pat at P.S. I love you Crafts. You can check out her post or watch my video on YouTube! Don’t forget to subscribe to my channel for eve more fun! Now THAT was a super eventful month! 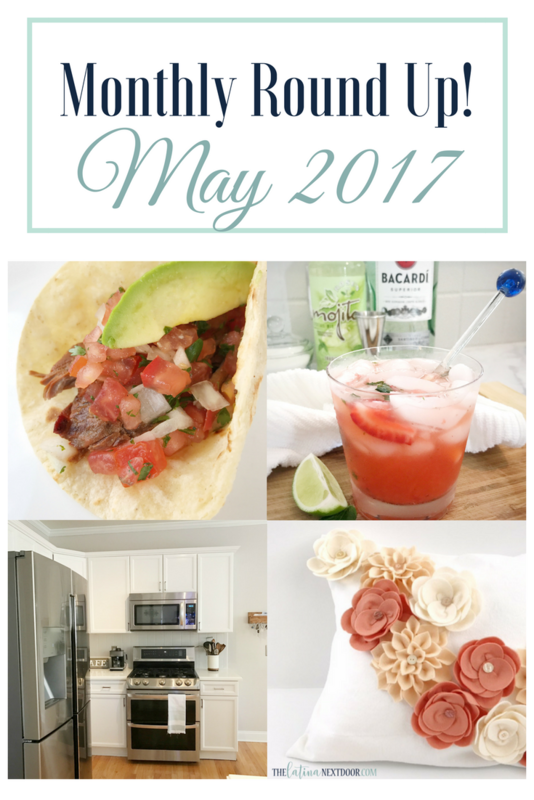 So glad you were ale to check out the Monthly Round Up – May 2017 edition and I hope you got to see some great projects. Which one was your favorite post? I would love to know!